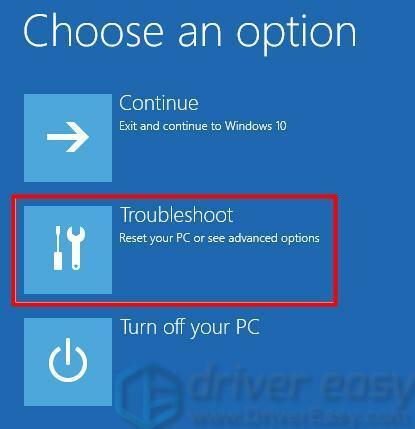 You wish to uninstall/rollback a Windows 10 update for one of the reasons listed above, but don’t know how? Well, read on and you’ll be on your way to getting the answer. Just to be on the safe side, you may want to back up your data before you begin. 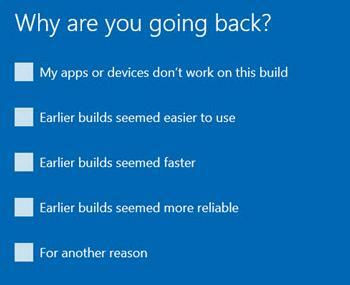 Builds, or major build updates, are like new versions of Windows. You can only uninstall a build within the first 10 days after installing it. 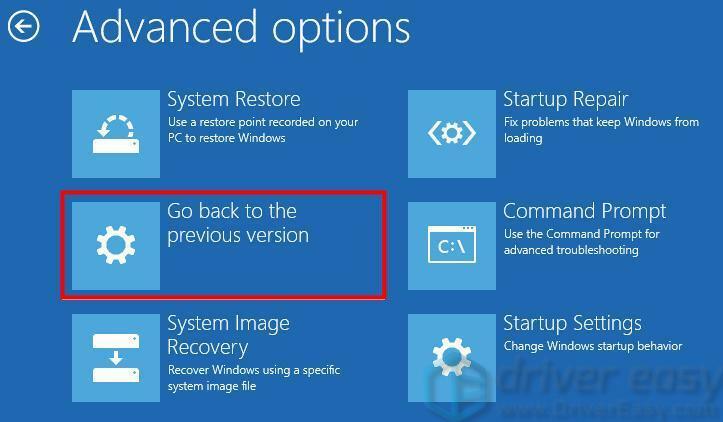 So if it’s more than 10 days since you installed the latest build, it’s possible that you can’t find the Go back to the previous version of Windows 10 section in Settings, which is mentioned below. Type recovery in the Windows search box, and select Recovery options. 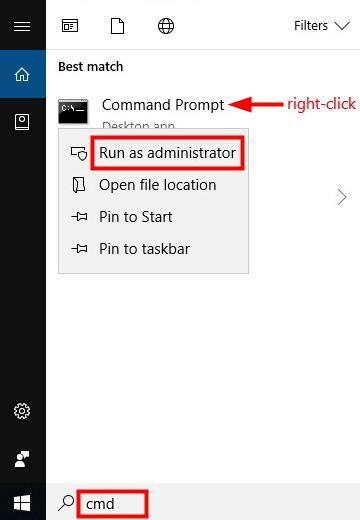 Under the Go back to the previous version of Windows 10 section, click on the Get started button. 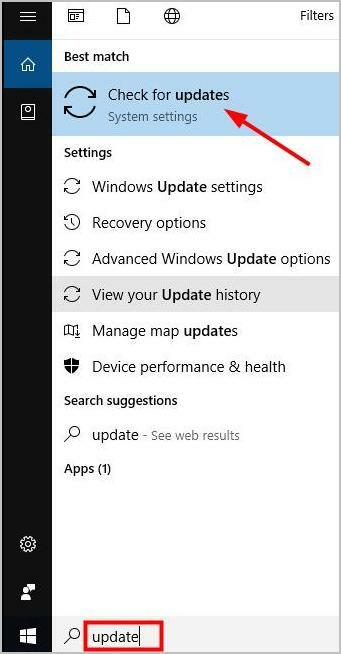 Note: if you don’t see the Go back to the previous version of Windows 10 section (see screenshot below), you can then try the next method or try uninstalling typical Windows updates instead. 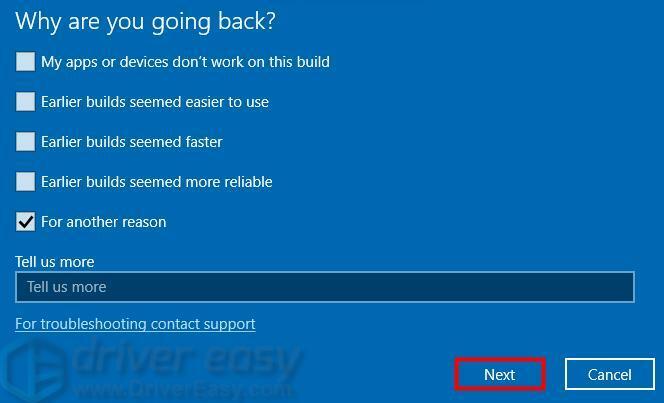 Select a reason why you’re going back to the previous version of Windows 10, and click Next. Note: you can click Check for updates if you want to check for updates instead. Click Go back to the earlier build and Windows will begin to restore. 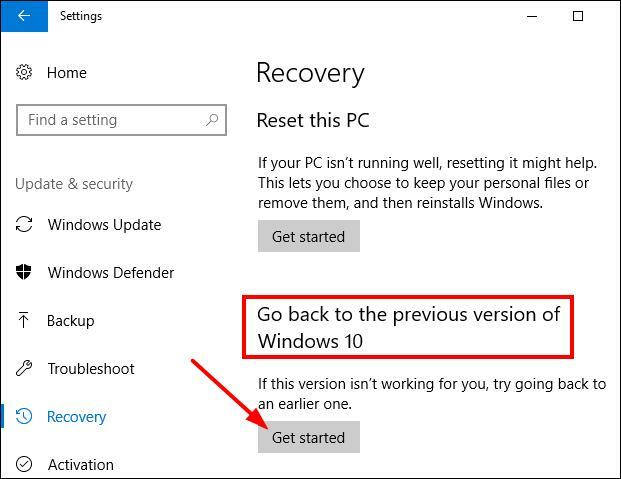 In addition, you can also enter Windows 10 WinRE(Windows Recovery Environment) to undo Windows 10 update. Hold down the Shift key on your keyboard and click on Restart. Select Go back to the previous version. Click Go back to the previous version to begin the process. In addition to some major build updates, Windows also releases minor updates regularly. If necessary, you can also choose to uninstall these typical Windows updates. See the steps here. Type update in the Windows search box, and select Check for updates from the results. 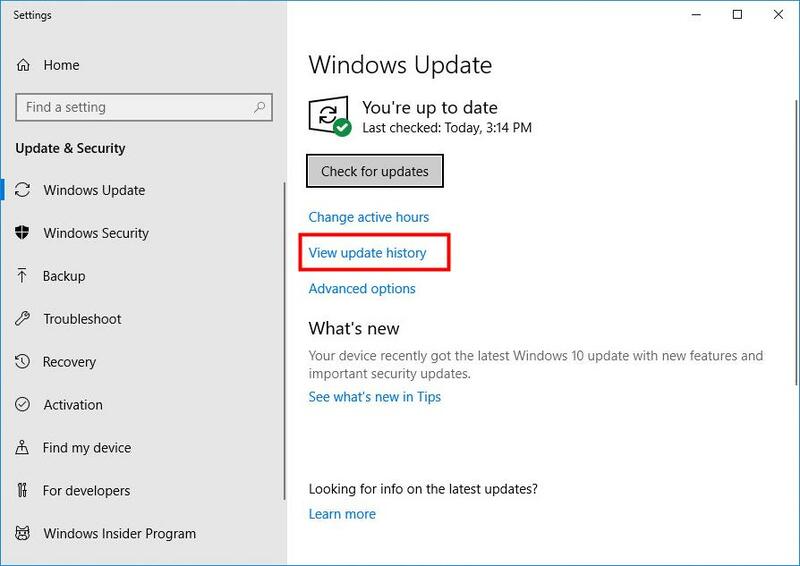 In the Settings window, click on View update history in the right pane. In the Microsoft Windows section, right-click on the Windows update you wish to uninstall and select Uninstall. Note: By this way, you are only allowed to remove the updates installed after the latest “build”. Save any open files and close all programs, and click Yes. 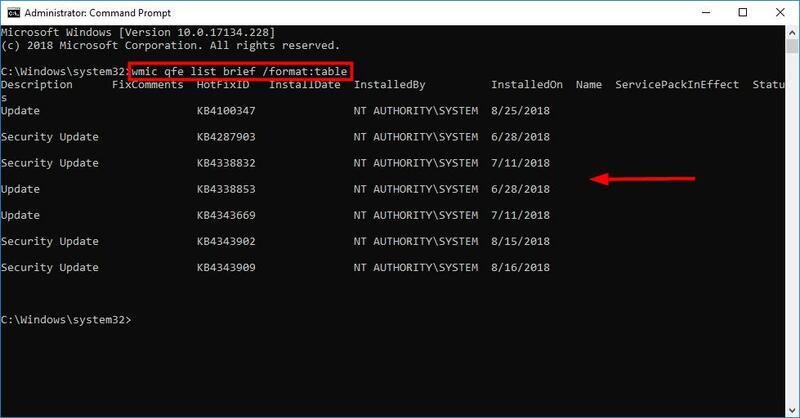 Another way to uninstall typical Windows updates is through Command Prompt. It’s a bit complicated, compared with other methods above. You may follow the instructions below. and press Enter to view a list of all installed Windows Update packages (like the screenshot below). Type the command you want to use below, and press Enter. Meaning: Uninstall update and prompt to confirm uninstall and restart computer. Meaning: Silently uninstall update without user interaction, and will not restart computer. You will need to manually restart computer later. Substitute updateID in the commands above with the actual KB number of the update you want to uninstall. Substitute seconds in the warn command above with how many seconds you want to be warned before automatically restarting the computer. You may be prompted to restart your PC to finish uninstalling the update. And now you’ve uninstalled Windows 10 updates by yourself. Feel good, right? Yet, to fully enjoy you Windows PC, there’s something else you’d better check for. Read on and find it out in Pro tip. 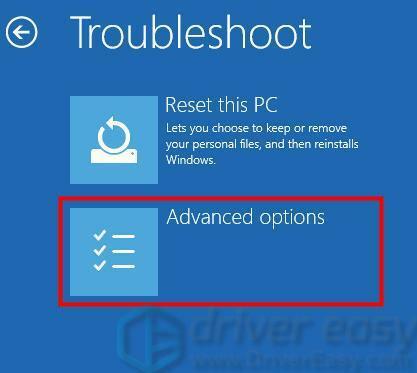 Uninstalling Windows updates could lead to some driver updates automatically removed from your PC. And outdated drivers could create various problems. 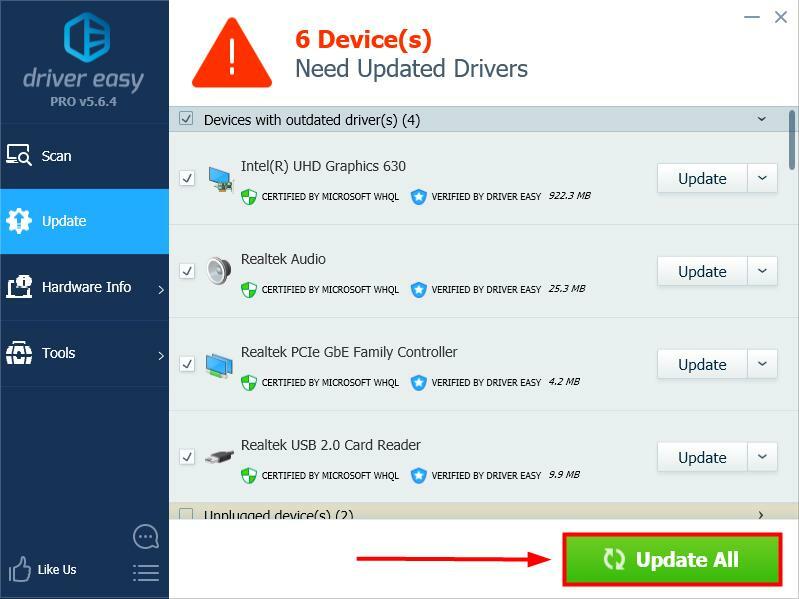 To lessen the risk of driver issues, you’d better keep all the drivers on you computer up to date. 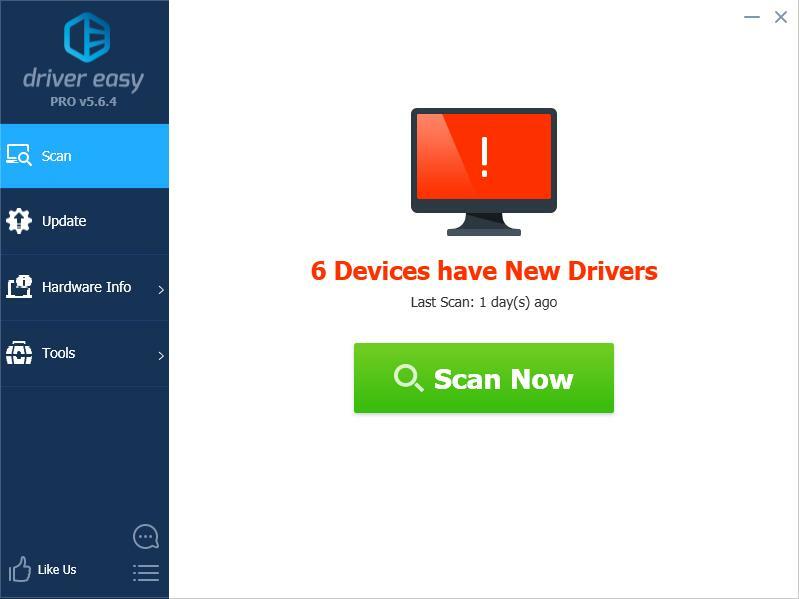 You can do so by looking for one driver after another on the device manufacturer’s website and follow their instructions, which requires time and computer skills.